Israel is a Middle Eastern country of 8.7 million people located on the shores of the Mediterranean sea. It has a predominantly Jewish population and is regarded as the biblical Holy Land. 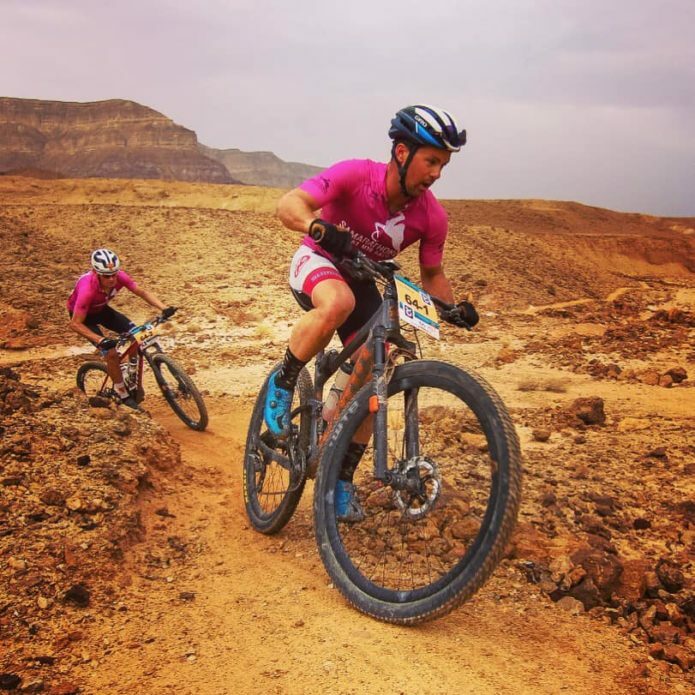 Racing a bike in Israel has been on my to do list for a long time as I have heard many conflicting stories about this country which has had more than its share of conflict since its independence in 1948. Riding a bike around a country is my favourite way to feel its heartbeat and stage races specifically allow us to get deep into the countryside without having to think too hard. 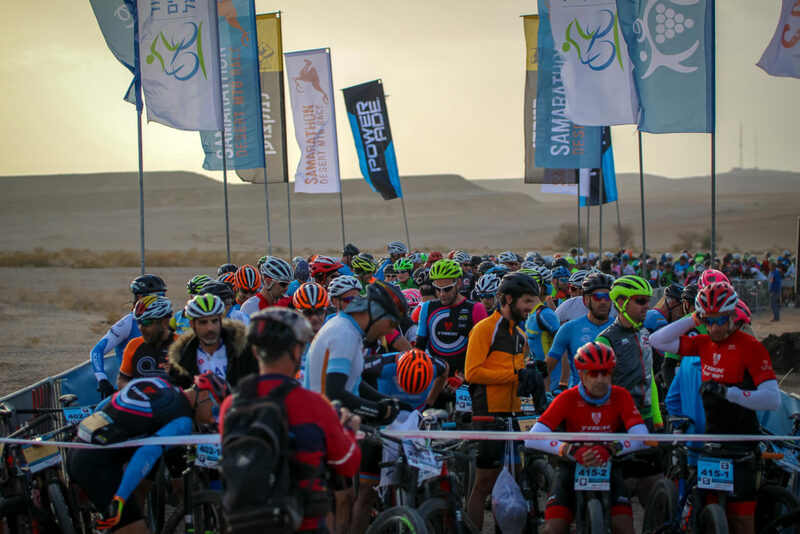 The four day UCI Samarathon Desert was a great way to see the southern Arava Desert of Israel. Their organization has built a great event which allowed us riders to just show up, shut off our minds and ride our bikes through a very beautiful part of the World. 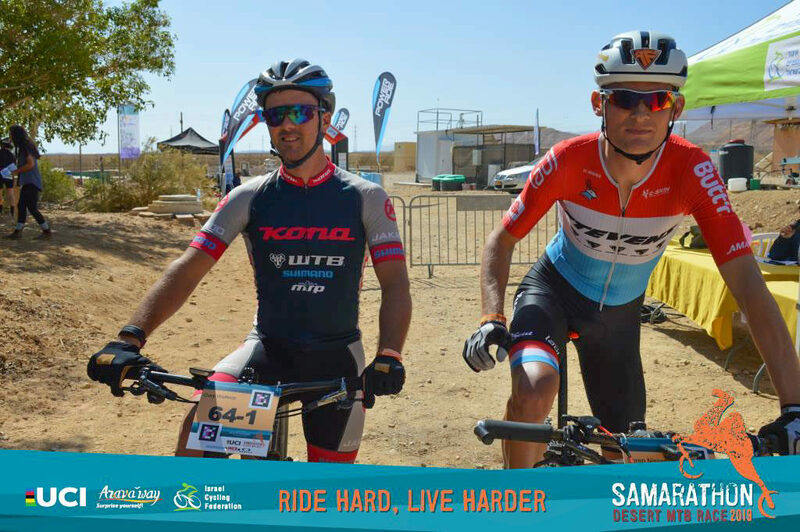 Joining 300 other riders in the event’s fifth year, we covered nearly 230 km through the desert with close to 40% being on nice single track. Coming from Canada we are spoiled with the trails we have, but I was definitely impressed with the quality of riding that was offered to us in Israel. 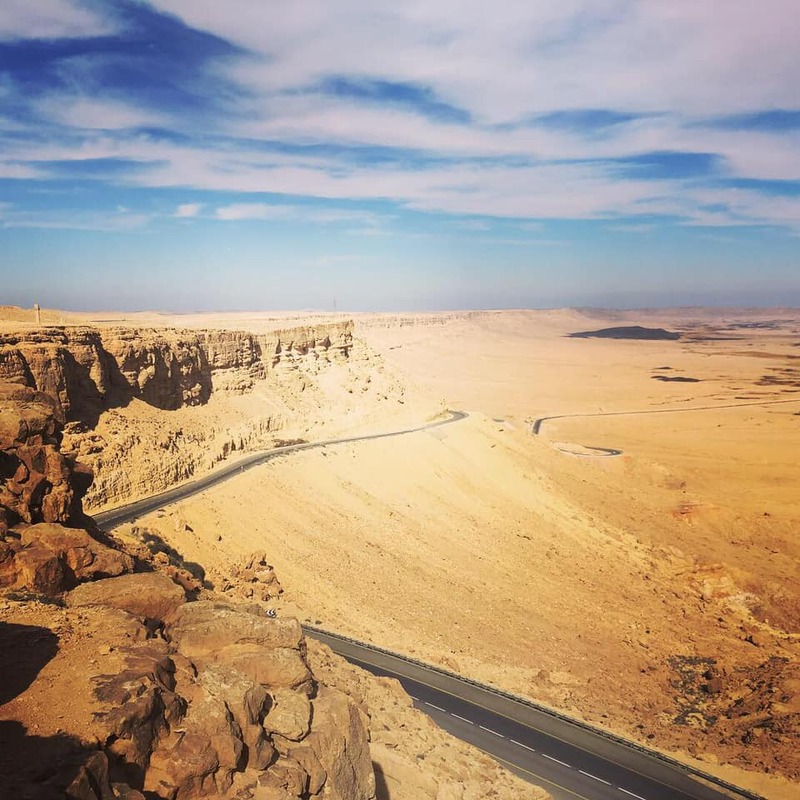 The scenery was pretty epic as well, with cliffs, canyons, sand dunes and some great views of the mountains of Jordan in the distance. Race wise my partner, Soren Nissen from Luxembourg, and I weren’t too sure what to expect with our early season form, especially with the field being full of Israel’s top XC racers. Rolling into the 20km prologue we were both pretty tired after a huge effort just to get to the start line. My trip had taken three days from Pokhara, Nepal and was highlighted by two delayed flights, a missed flight, 48 hours hanging out in Katmandu and eventually a 2am arrival in Jerusalem. The next day we went on an eight hour tourist trip down to the race start near Eliat. At one point we rode out into the desert to visit a local Bedouin family. The Bedouins are desert dwellers who are generally Arab Nomads. A lot of them are urbanized now but make a living showing off their traditional ways of life such as camel riding and desert camping. It would be cool to come back and explore this part of the culture a bit more one day as living in the desert seem like quite a tough existence. In the prologue I did my best to stick to Soren’s wheel as we had to pass over 15 teams as we were given one of the last start positions in the time trial format. 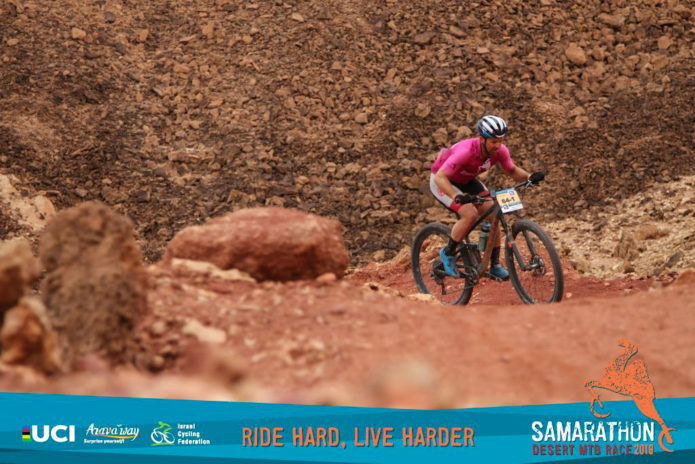 The course was a ribbon of smooth single track through a very rocky and unforgiving desert terrain. Luckily we escaped unscathed but lost over a minute on the Israeli leaders, signalling that the days ahead were going to be a tough battle. After the stage we were told it was just 25 km back to camp, and there would be a tailwind, so we opted to ride. It ended up being closer to 40 km, mostly into a headwind which left us both dehydrated and with some hunger pains. The scenery was amazing though with the mountains of Jordan to the east and a high desert plateau leading to Egypt on the right. This part of the country was really skinny with just 50km separating the three countries! Heading to stage two we missed the bus transfer back to the start as we thought it was 6:15 am not 6am. At 6am we had loaded our bikes and then went back to our tents to gather a few things. Returning at 6:15 we found all the busses had left so hitch-hiked with the Samarathon media team. Unfortunately our bikes didn’t get unloaded with the other racers at the race start and were now on a bus headed towards Egypt. Thankfully one of the volunteers chased the bus down and got us our bikes just before the race start! 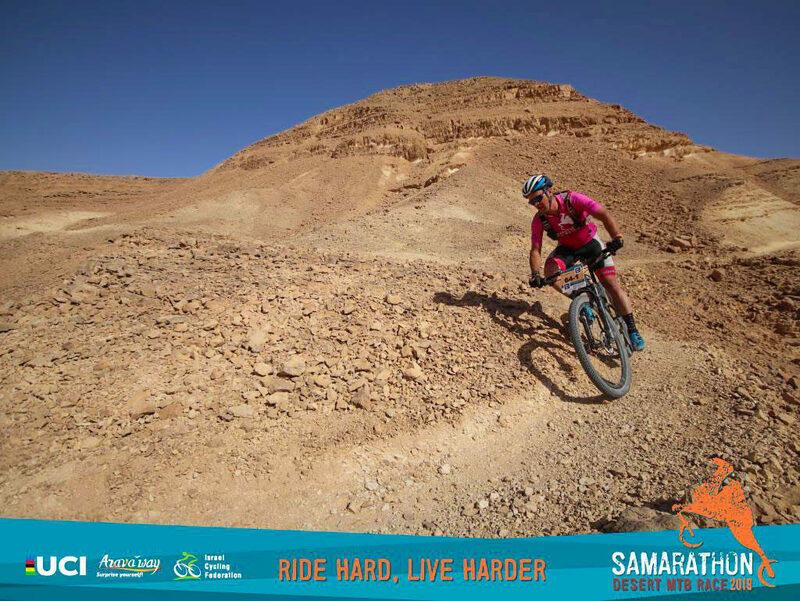 This day the race started with a big climb up to a desert plateau at 500 meters. I set the pace dropping everyone except the Israeli team in the leaders jerseys. Soren sat back and analyzed the situation. He told me the Israelis had struggled to hold my wheel so we made a tactic that I would attack going into the next single track and he would sit at the front letting the gap grow. He would then attack and bridge over to me. This tactic worked brilliantly except once Soren caught back up he started to cramp up really good allowing the Israelis to close the gap again. The riding this stage was awesome as we rode some trails on the edge of a ridge overlooking the dry desert below. It was a very dry climate but the temperatures were perfect for racing, sitting in the low twenties. Towards the end of the stage Soren and I would break away from our Israeli competitors and put four minutes into them by the finish to overtake the pink leader jerseys. 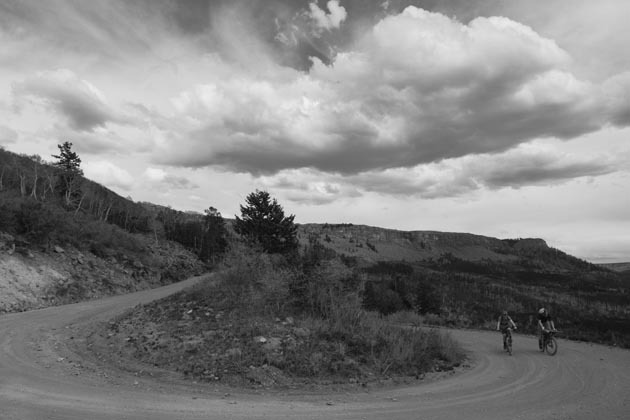 The highlight of the stage was the final single track climb to the finish which switch backed its way out of a box canyon. This was also the KOM of the day in which there was a side competition to see who the best male and female climbers were on the day. A Russian rider won the overall, although I’m sure Soren would’ve claimed it if he hadn’t stuck with me as a good teammate. Once back at camp we settled into our Villa camp on the edge of a small lake in Timna Park. It was a real oasis in the desert with beautiful rock walls surrounding us. The restaurant on site served some great food for us racers and showed off why Israeli cuisine is so popular around the World. The highlights were the Shakshuka, hummus, tahini and falafels – although pretty much anything after a long day of racing generally tastes good. The awards ceremonies in the evenings were entertaining events with one of the race organizers, Nimi, putting on a bit of a comedy show and the pictures of the day would allow us to see just what beauty we had missed while our heads were down pushing our pedals as hard as we could. The awards would often go past 9pm, and the race days would start with 4:45-5 am wake up calls. This combination led to some short nights! 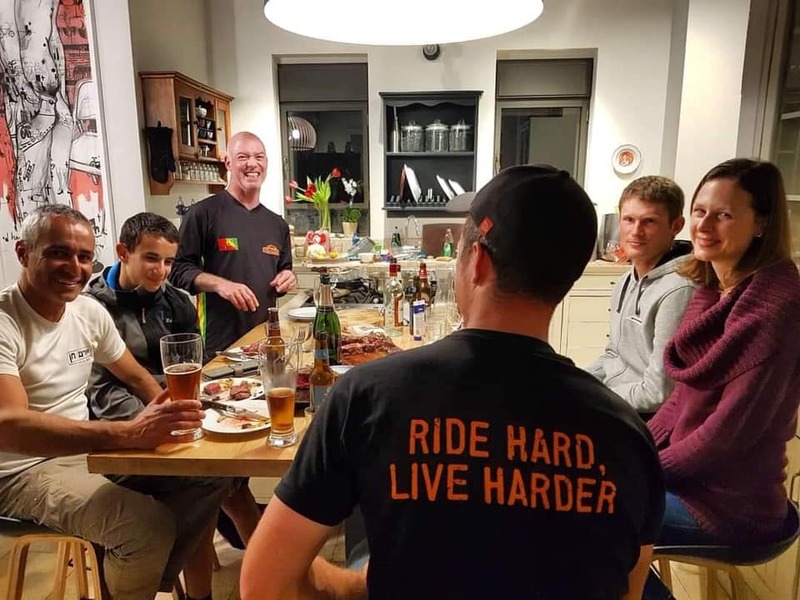 I guess this is why the race slogan was “Ride hard, live Harder!” Being a 24 hour racer these short nights probably played into our favour as I’m used to riding tired while Israeli’s XC racers are likely used to being a bit better rested!. 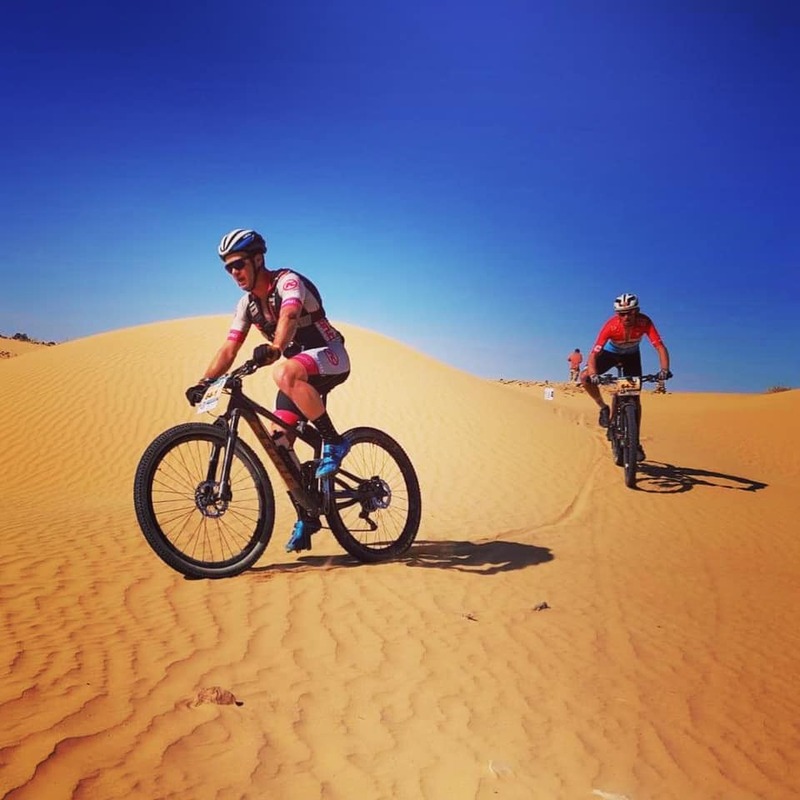 Stage three was the Queen’s stage and took us 85km across a desert plateau before dropping down a cool canyon and then on some rough river beds back to the race finish. This part of the race felt pretty wild and let us really soak in the outback of the desert. We extended our lead a couple minutes as the Israelis crashed at one point while trying to follow our wheels. Being the polite Canadian I started to ease up to let them catch back up but Soren reminded me that they had refused to stop for a pee break earlier in the stage when things were calm. Coming from a road racing background, if the jersey leaders aren’t respected in the peloton then they will put the hammer down later on if things go sideways. He was right, so we took off and we had six motivated Israelis trying to chase us down into a nasty headwind. I was suffering this day but Soren single handedly held off the charging Israelis while I went cross eyed just trying to hold his wheel. At the finish we were both pretty spent as we weren’t just battling the race but we had also both picked up a small flu bug somewhere in the previous days. It was a rough night as we both got sicker and the early morning wake up at 4:45 came much too early. Going to breakfast there were only 10 other people there out of 300 riders which probably signaled we weren’t the only ones struggling with the early mornings. With a 5 minute GC lead, we had some time to play with but the 52km final stage was suited for the punchier Israeli XC riders. The Israelis got away from us on one of the early climbs but Soren would set the pace on the fire road sections and me on the single track, which kept the gap from growing too big. A few spectators on course would tell us the gap was 3-4 minutes, we think just to stress us out when in reality it was just between 1-2 minutes. The riding this day was amazing as it was on a new purpose-built single track through Tinma Park. They sure have put a lot of work into the riding in the desert and it was a real treat to race on. Rolling into the finish in third, just over two minutes down on the leaders, meant we had successfully held onto our Pink leader jerseys and taken the title at this UCI S2 ranked stage race! What a great way this was to kick off the year! It certainly wasn’t an easy victory, but that makes it that much sweeter. The action didn’t stop the days after the race as time was spent in the city of Tel Aviv, and of course riding. Tel Aviv is on the Mediterranean Coastline and is the country’s economic and technological hub. It is also party central and has a 24 hour lifestyle. We were pretty tuckered out from the race so settled on some more relaxing activities. I tried a recovery ride on the coastal bike path but this turned into one of the sketchiest rides of the year as it was littered with out of control e-bikers and e-scooters. Old men with beer bellies would overtake me and glare down as if to ask why I was going so slowly. Because I’m actually peddling my bike while you guys have your e-bikes set up so you don’t even have to touch the pedals! I was thankful to make it back to the hotel intact. In the evening my friend Yoram picked me up to take me up to his farm in Northern Israel for a few days of riding in the Carmel mountains. It was interesting how different the environment was up there with lots of greenery and rolling hills. 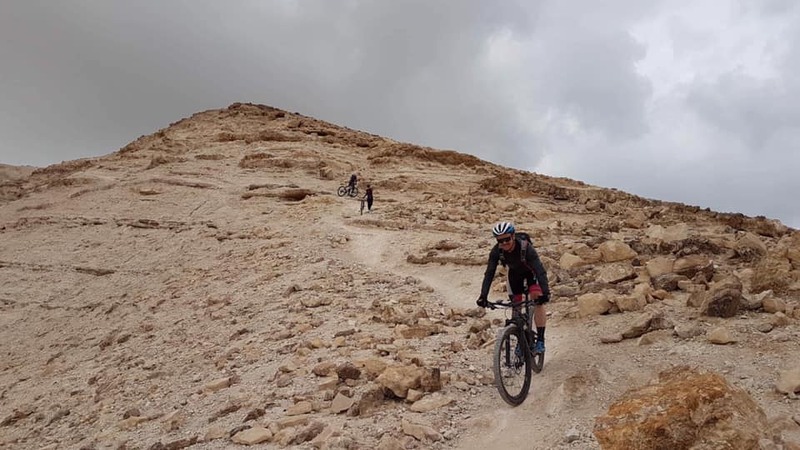 To cap off the trip Yoram, teamed up with a local Kona dealer Erez Golan to take us on the famous “Sugar trail” from Jerusalem down to the lowest place on earth at the Dead sea which is -430 M below sea level! It was a sweet ride as the flowing single track went past Mosques and some Bedouin settlements. One of the coolest things was to see the relationship that our Israeli hosts had with some Palestinians in the area as I have heard so much about their conflicts in the media. To finish the day off Erez hosted us for a night of Steaks in which he BBQ’d up five different delicious cuts and opened up a cooler full of beers and champagne. The hospitably of our Israeli friends is what truly made this trip one for the ages. Here at Kona we are positive that Cory Wallace is actually a robot sent from the future to show us mere mortals that Type 2 fun is actually a good time and that we should all be pushing our bodies to their absolute limit. Having just finished riding in Nepal and complete the Annapurna circuit in under 24hrs Cory headed to Israel with race partner, Danish ex-roadie Soren Nissen. 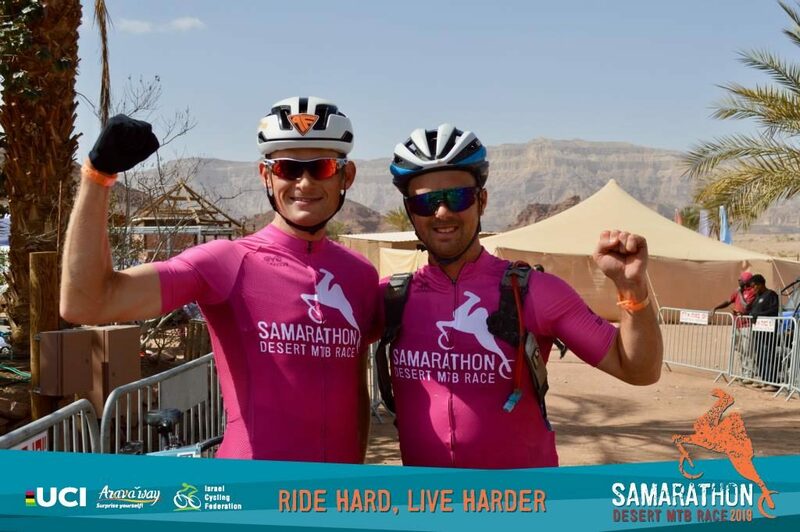 The pair were there to take part in the 5th edition of the Samarathon Desert MTB Race, 240km of grueling shadeless desert racing. 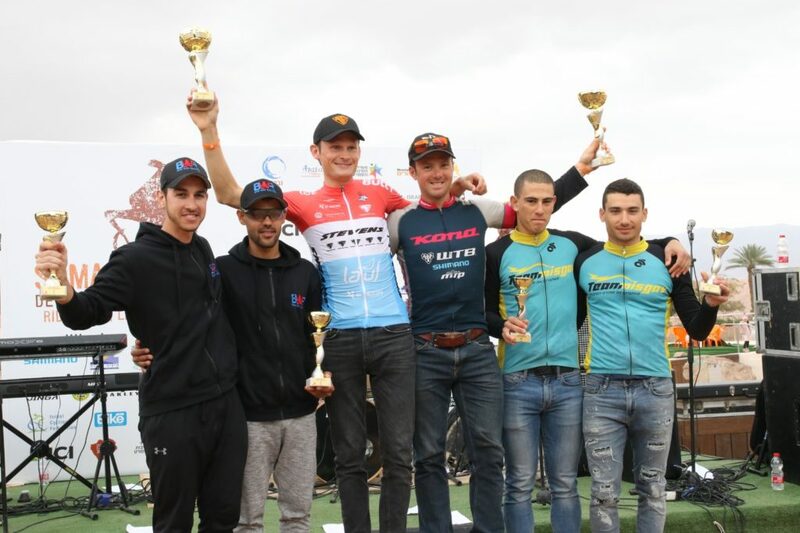 After coming in second on the 19km prologue, the pair then went on to win the remaining 68km, 76km and 86km stages to take the overall win in a time of 9hrs and 51 minutes just 2 min 45 seconds ahead of second place. After 10 hours of racing, it’s clear the locals did not take it easy on Cory and Soren. Guess who’s back? The Kona Endurance and Adventure Team! This four pack of distance/type-two/pain-loving cyclists plan to travel across every kind of terrain on multiple continents throughout 2019. In its third year, the Kona Endurance and Adventure team returns ready for some big days in the saddle. 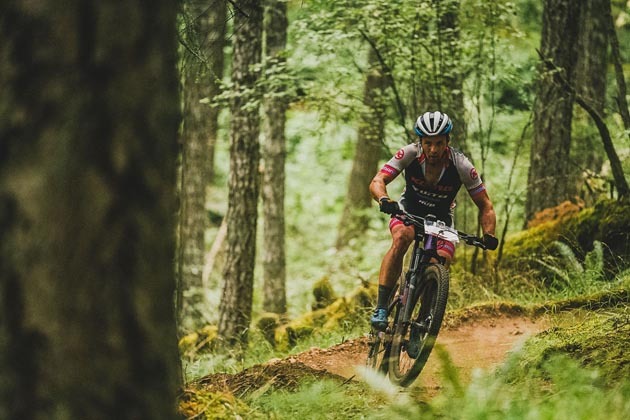 From lung-busting gravel grinds, mountain biking in places we may not have ever heard of, to a full season of Elite XC, gravel and marathon racing, they’re ready to dig in, ride hard, and capture all of the excitement they can find aboard two wheels. 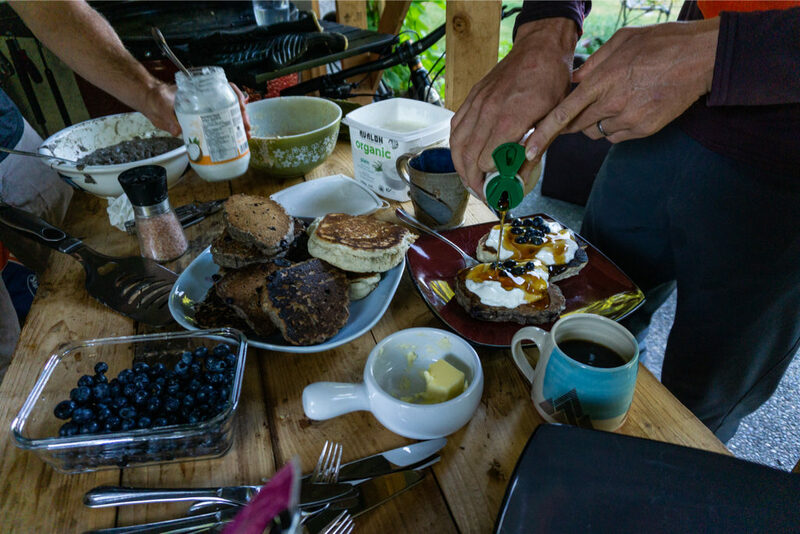 The Endurance and Adventure team is made up of Kona veterans that know exactly what it takes to squeeze the most out of every single adventure. Team ringleader Barry Wicks is back with a full agenda of rides all across North America and the World accompanied by probable world record-holder Spencer Paxson, 24hr World Champ Cory Wallace, and the ever-keen-to-crush and party pumper Kris Sneddon. 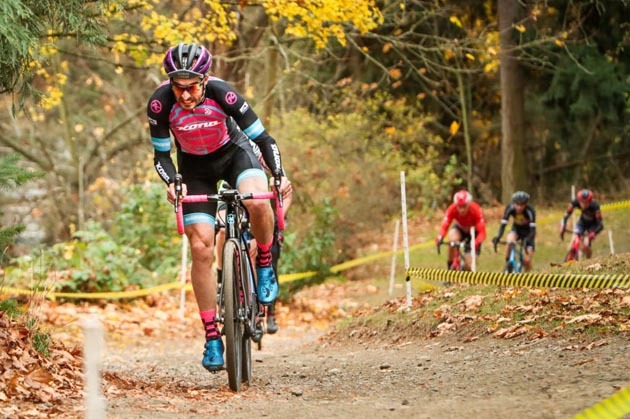 And be on the lookout for guest appearances by Kona Maxxis Shimano CX racers Kerry Werner and Rebecca Fahringer. 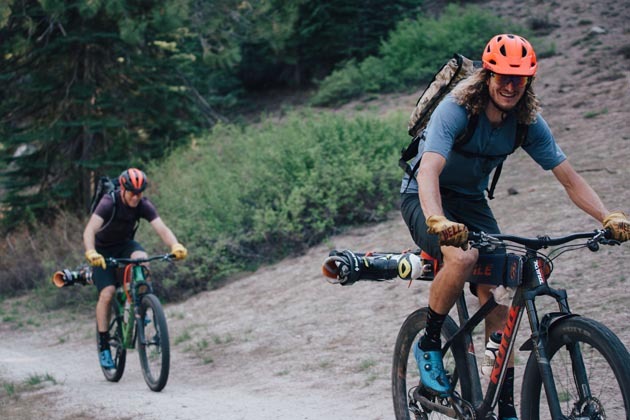 Together they make up a crew that is champing at the bit to push the limits of where bikes can go, how hard they can be ridden, and how much fun is actually possible while inflicting what seems to mere mortals like some sort of self-inflicted punishment. Oh the places they’ll go! 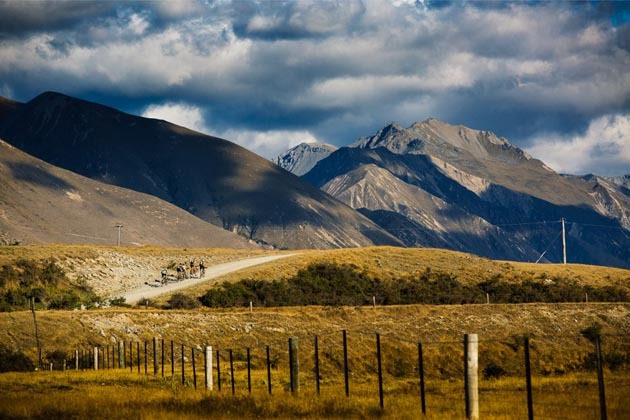 They’ll cross the plains and race the Dirty Kanza, traverse BC’s best trails in the BC Bike Race, leave their marks in the Oregon Trail Gravel Grinder, spend days in the high alpine of the Trans Rockies and pay visits to the Epic Ride Series of events. 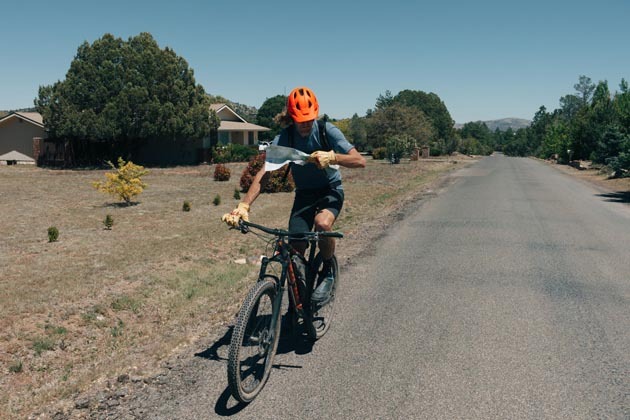 In addition, they’ll be busy crossing many a mountain pass, bikepacking to locations that seem impossible to reach, racing the races that scare most people, and leaving dusty contrails in their wakes as often as possible. If it sounds like a challenge, these guys are up for it. Stay tuned to the Cog and Kona Features for the latest on their travel shenanigans. Last year Adventure Team rider and 24 Hour Solo World Champion Cory Wallace took on the task of raising money to help build a coaching/training center in Nepal. His goal was to complete the Annapurna Circuit in less than 24 hours. Completing the Annapurna Circuit is an incredibly challenging athletic feat on its own. It is comprised of 220km of extremely high altitude riding while ascending over 6000 meters throughout the process. Completing the Annapurna Circut in just 24 hours is…well… something that perhaps only Wallace can do. He’s back at it this year and on November 20th is attempting to break his time last year of 23:57 with the goal to raise $6,500 for the coaching center -the only of its kind in Nepal. Wallace is giving away two of his world championships jerseys- one for the single highest donation and the person who donates and most accurately predicts his completed time in the comments section on GoFundMe. Want to play along? Check out the fundraiser here. Stay tuned for his result and donate to the campaign! Video by Gaurav Man Sherchan and photos by Cory and Patrick Means. As you’re reading this Cory Wallace is competing in the 24 Hour Solo World Championships. What does it take to make it through a race like this? We asked Cory to give us some key stats. “I’ll aim to consume 300-400 calories per hour. Some country songs will likely be stuck in my head. 7 x World Champ Jason English and I are pretty good buddies so we usually catch up in the first few hours of the race before we really start beating each other up. After 12 hours we all become pretty quiet. I feel I’ve had good form all year but have been hitting the post a lot. I think there is a good race in my legs and hope to bury this one good. I’ll be running two Kona Hei Hei’s. They have foam grips and otherwise are stock team bikes. One has a bit wider and higher handlebar just to switch up the position a bit between laps. Be sure to follow along with live timing here! 24 Hour Solo World Champs: Cory Wallace is Ready! Fort William is known to most mountain bikers for its place on the World Cup downhill circuit. This year, however, it will play host to the Solo 24 Hour World Championships. Kona Adventure Team racer and former solo 24 Hour World Champion Cory Wallace is in Scotland and ready to race! We recently featured an article on what it takes to pull off a 24-hour solo race, but the world championships are next level. The race kicks off on October 20th at the Nevis Range Complex at high noon! Be sure to follow along with Cory’s live timing here! Kona Adventure Team rider Cory Wallace was recently interviewed by Red Bull about racing in 24-hour events. To most of us it seems crazy to take as little as a 10-minute break during the course of 24 hours. For elite adventure racers, it’s just what they do? Find out how they eat, how they pee, and if they sleep! It’s pretty fascinating! Kona Adventure Team rider and racer Cory Wallace is a traveling fiend these days. His latest adventure took him far north to the gorgeous Norway mountains. I spent the last two weeks traveling around and racing in Norway. First up was the legendary Birkebeiner race based out of the Olympic village of Lillehammer. This race was at one time the largest mountain bike race in the World with over 17 000 participants. It is a bit smaller now but is still the “big show” in Norwegian mountain biking. The race was like a road race, 84 km long mostly on gravel roads, with average speeds of over 32 km/hr. On the finishing descent, one rider hit 100.1 km/hr as the track went straight down a ski run. I had a rougher day, fighting hard for 22nd. Next up I flew up North with my buddy Anderl to the northernmost town before the North Pole, Hammerfest. Here we spent a few days adventuring around the Arctic terrain with the Skaidi Xtreme race organizers and other racers before racing their event on Saturday. The Skaidi Xtreme was the opposite of the Birken, and a real mountain bikers race across the arctic tundra. It was boggy, muddy, rocky and pretty technical, with average speeds around 18 km/hr. I flatted early on but managed to fight back pretty good to get within throwing distance of 3rd place, eventually rolling in 4th. It was cool to see both the southern and northern parts of Norway in one trip. The Nordic country is a leader in this world in many ways and they certainly know how to put on some good bike races! Next up is the Canadian Marathon Championships in Saint-Felecian, Quebec this weekend. It’s been a couple years since I won the title but I’m fired up and ready to take a run at claiming a 3rd Maple Leaf Jersey this weekend. 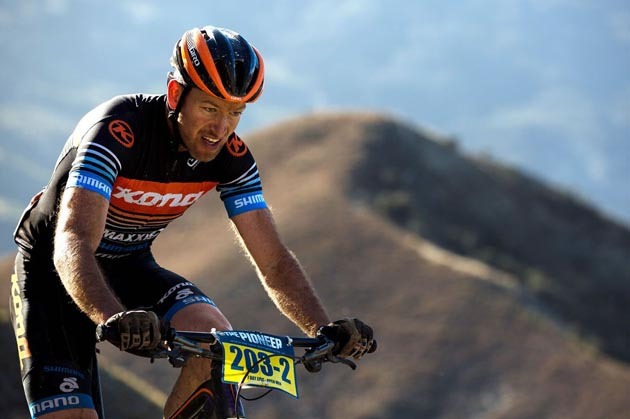 Kona Adventure Team Rider and 24 Hour Solo World Champion, Cory Wallace, had a somber start to his racing last weekend. Prior to the Squamish Spakwus 50km race, he received word that one of his close friends had passed away while racing his bike in Nepal. Cory took his grief and poured all of his emotion into a powerful victory in the race. He followed it up with a 120km race in Alberta the next day. Cory is a true machine with a huge heart. Cory wrote about processing his friend’s passing and channeling it into his racing in his most recent blog post. Our condolences to you, Cory. Thanks for always being a true champion.